Our lead male character is Yuta Togashi, a seemingly normal enough guy just about to start his first year of high school. However then we’re shown that strangely enough, Yuta has picked a high school which is as far away from his original school as you can get. Why has he done this? Well because Yuta suffered from eighth-grader syndrome. Eighth-grader syndrome is where kids pretend they are something they actually aren’t, such as having magical or dark powers, and generally act really differently to everyone else which in Yuta’s case amounted to him becoming the “Dark Flame Master” and thinking he had the powers of the dark flames. Needless to say once you grow out of it this syndrome is embarrassing and we can’t really blame Yuta for wanting to make a fresh start away from all his old classmates. Of course, life isn’t simple and Yuta may think he’s escaped his past, but in truth he hasn’t which quickly becomes apparent when he meets Rikka Takanashi who lives in the apartment above his own and will be attending the same high school. Oh, and she has yet to grow out of the eighth-grader syndrome. 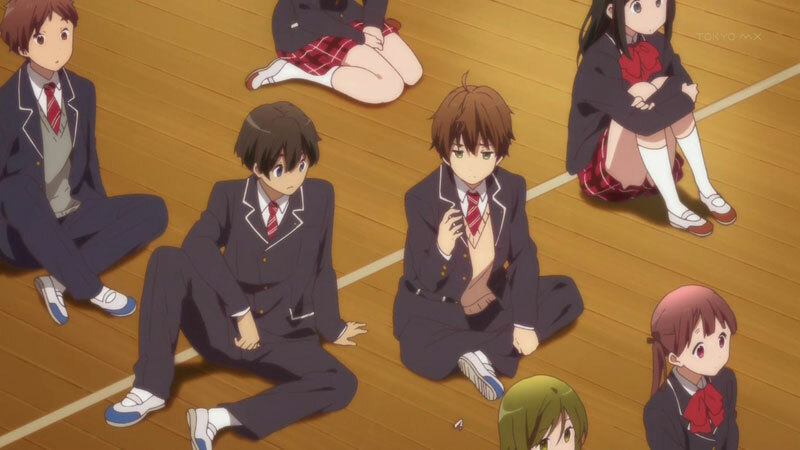 The first few episodes go on to show the interaction between Yuta and Rikka as the two seemingly always end up together with Yuta embroiled in Rikka’s random delusions regardless of wither he wanted to be involved or not. 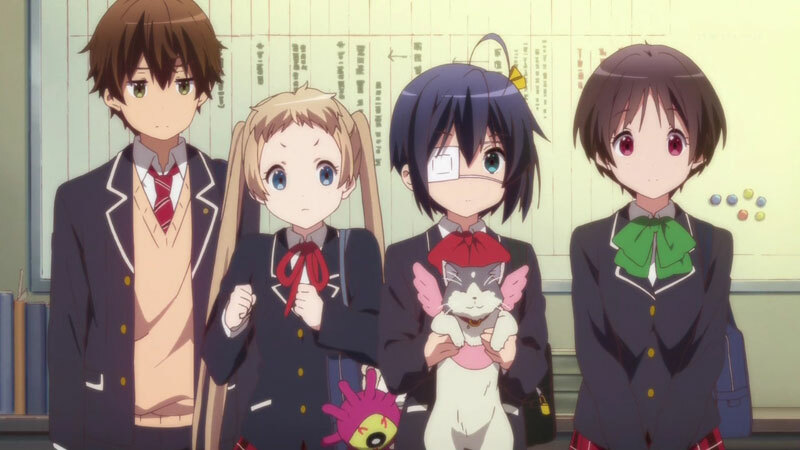 Add in the most popular girl in Yuta’s class along with a couple of other characters and you have the base for a fun little comedy, especially once Rikka sets up a school club based around her delusions. 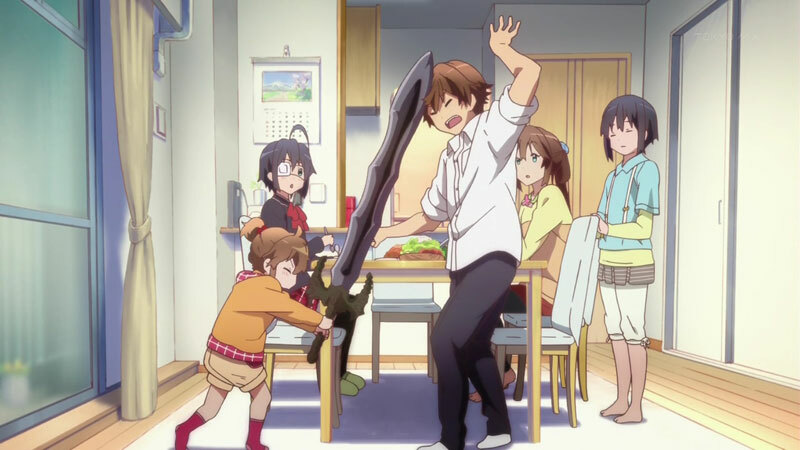 That said while the comedy is nice and all, after five or so episodes the series starts to lose its touch and you wonder just how it will spend the last of its episode when the middle is feeling so lacking. 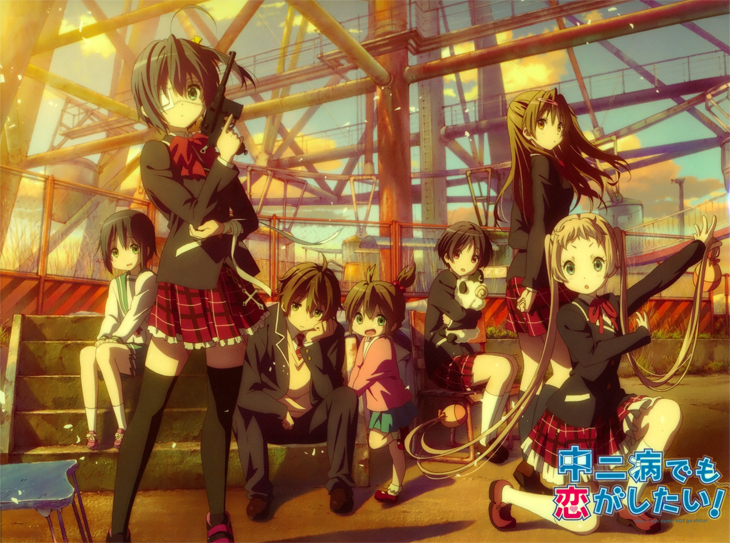 Thankfully, it’s here where the series begins to tone down the comedy and focus on the romantic interest between Yuta and Rikka, but the series also begins to explore Rikka’s backstory and the reasons why she’s the way she is. The later episodes of this series really are the ones which shine. Once we learn about Rikka’s past its hard not to really become attached to her character and as the series goes on and we see the feelings between her and Yuta progress and you realize how right the two are together. You end up only wanting to see this series end on a high note and it doesn’t disappoint. The last episode didn’t feel as fulfilling as it could have, especially after the build-up the episode before it gave, but nevertheless I came away happy. It’s only looking back that, while the earlier episodes could feel pointless, the offered great character development for Yuta and Rikka which is what allowed the series to have such emotion for its final few episodes. 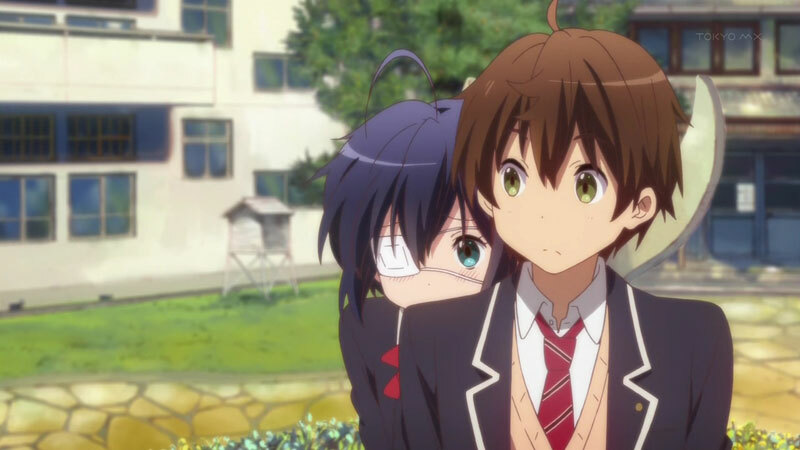 As mentioned earlier, the character development given to Yuta and Rikka early on is very well done but that isn’t to say the series hasn’t handled looking after the other characters in the series well, because it does and each gets enough focus where you care about them too, even if Yuta and Rikka are at the forefront of your thoughts. 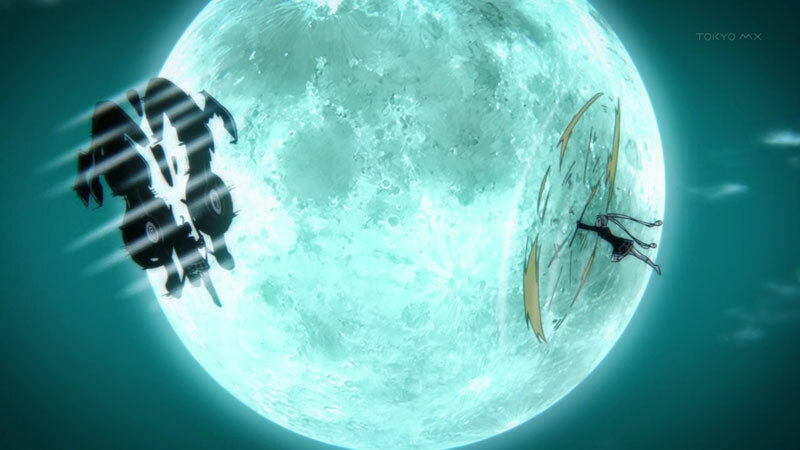 As far as the animation goes it was really nice throughout. When Rikka got really sucked into her delusions and did ‘battle’ with other characters we were treated to some really nice animation which made it feel as real to the viewer as Rikka found it. While the series kept up really nice quality throughout it was undoubtedly the later episodes which offer us the prettiest of scenes which will have you not wanting to look away. The character designs were all really nice too, Rikka is suitably cute and Yuta looks like the older brother type who will happily look after her and you want him too. As far as the soundtrack goes the are some really nice pieces of music here and there and it all seems to fit together nicely. It likely won’t be memorable for a long time after watching the series but it’s nice for what it is. The opening and ending themes are both really nice too, but again likely won’t be as memorable as other openings from the past few months. Overall it’s a good series. It may start to lose its why in the middle while it decides if it wants to continue with the comedy or go down the more serious route, but once it makes up its mind it certainly is a special series and a nice watch for those looking for a fun romantic comedy. You can watch the first season of the series on Animax in the UK right here.